Some NGO's have everything they need: money, expertise and man power. Unfortunately most NGO's and charity organisations are not that lucky. This why I do offer the possibility to help some of these cases. Organizing or co-organizing events to bring potential volunteers and NGO's into the same room. Organizing training's for existing volunteers teaching them to be volunteer magnets. Organizing and leading NGO's mastermind sessions where several NGO representatives join forces. Supporting a NGO through consultancy in several areas. Request below. Each of the first three options has a link to a dedicated page explaining more in depth what it implies. An NGO/charity organisation is in many perspectives similar to a company. There is a vision and a mission, there is a structure in place, there is a leader and a team. The size of each part is irrelevant. It is an organization and therefor it is susceptible to most problems any regular organisation can run into. yet it also has the same possibilities and opportunities of success as any regular organisation. And this is where we come in: My extensive experience in different positions, multinationals and smaller companies, across several industries, countries plus in addition to my competencies give me the ability to see solutions and spot opportunities there where others may not. I am straight forward and I do think and act out of the box. If this appeals to you, then feel free to use the contact form below. Watch this video before applying or simply don't apply. If you feel that we could be the right party to support you in your charity work, then please do contact me via the request form linked below. When a request has been placed I will evaluate it and contact you to inform you of our decision or discuss more in detail the possibilities of cooperation. Helping those in need has always been an important part of our personal dedication. In 2015 Lotfi got involved with HOSPICE Casa Sperantei helping them in different ways. Later that year Lotfi expanded the charity work by organizing Step into CHANGE together with other coaches and in cooperation with Connect Hub (now closed). At first Ibi's brought 3 more NGO's into the project. Then she offered to also be the photographer during the event. This event was 180 minutes for Society​ (still in cooperation with the Hub) and being a logical next step after the "Step into Change" event. 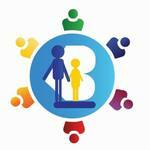 After thorough evaluation of the Step into Change and the 180 min for Society events, Ibi and Lotfi decided to continu on their own while creating their own charity brand called Bridging Charity. 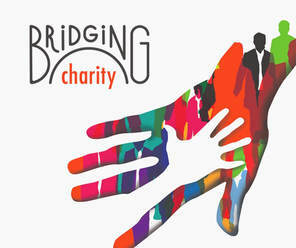 First they organized BRiDGiNG charity NGO's Mastermind to see how to get more potential volunteers to join. As a result of this mastermind ​BRiDGiNG charity Training Volunteers was organized . The philosophy being that active volunteers are the best ambassadors to find and inspire new volunteers. Then due to personnel changes within the different charities they had teamed-up with, their work became almost impossible. They did also not have enough time and resources to rebuilt all the relationships as well as the sad fact that most charities wanted instant results and had no long term vision. The last one is unfortunately the true reality for many NGO's as well as companies. So they decided to pause and feel when it would be the right time to act and into which direction. They felt that they did not lose the war, they only lost a battle. In May FiB Lounge was launched (Friends in Business) and during the August edition a charity NGO called Asociatia Lume Buna! (previously unknown to Ibi & Lotfi) attended with the intention to get the entrepreneurs involved in charity work. ​In June Lotfi decided to launch the "Program for the Financially Disadvantaged". For more details scroll back up.